The Big Idea: Science can help children learn to be kind and empathetic...and to take care of our world. As children explore using the scientific method of observing, questioning, and investigating to find answers, they’ll be practicing problem-solving skills they’ll use at school as they have new experiences, meet new people, and learn new things. Kindness and empathy are important to solving problems between friends and working as a member of the classroom community—and both can be learned through science! Talk about recycling and ask children how they think it helps the planet. Say, “Recycling turns the things we throw away into new things, so there isn’t as much garbage.” You can make recycling bins by decorating cardboard boxes. 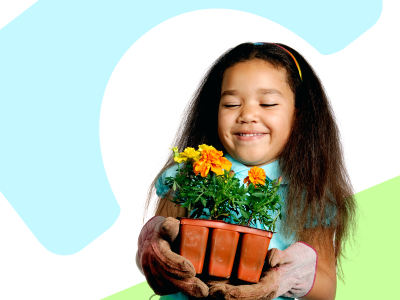 Caring for plants is a great way to practice caring for other living things. Plant a seed together, water it, and watch it grow. Work together to build a family, school, or community garden. You can even plant a little bit more than you need and donate it to people in the community. Giving back and working together are skills that help children thrive in school and in life.